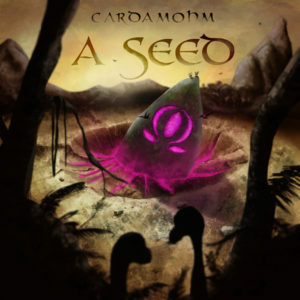 After the success of Hybrid Seeds, Cardamohm is happy to present their debut album, A Seed, featuring 8 tracks blending wind instruments and electronic music. The ethnotrance duo’s recipe mixes techno grooves, distorted acid lines, dubby keyboards, powerful bass lines, and ethereal soundscapes with magic flutes and ethnic instruments to offer a deep journey into trance music. Mastered by Adrien Sauvaget @ X-Pand Sound Mastering, with artwork by BaBa Shikoine. MP3 Download | FLAC Download | WAV Download · Download count: 10,932. Rerelease this album without the flute please! 90% of the flute is just babbling. The rest is quite good though. La Embarcación is the Best! Nice unconventional and pleasureful music. A mix between trance and relaxation. Some of the songs are a bit style-inconsistent though. What an awesome release! I love the addition of the flute!! Some people might dislike it, but I really really dig it. It comes down to taste. Also, regarding the possibility of being inconsistent with your style in your music?? I don’t even understand that statement… why would you want to be a cookie-cutter music producer? The beauty is when you seemingly switch styles in a single song and experiment with different sounds… who cares if style isn’t consistent?